Well, I ran the 1/2 marathon on Sunday. As predicted, I felt like a slacker for only doing half of the race. I felt great--like I could have run all day. The weather was perfect and so were the fans along the course. Columbus is great for that--there are only a few spots where there isn't really anyone cheering for you. I love those people who come out to watch and support. They will scream and yell and clap even though they have no idea who you are. I especially love the kids who stick out their hands hoping the runners will give them a high-five. I can't really describe how much that helps me--especially during the full 26.2. I ran the race in my new kicks. 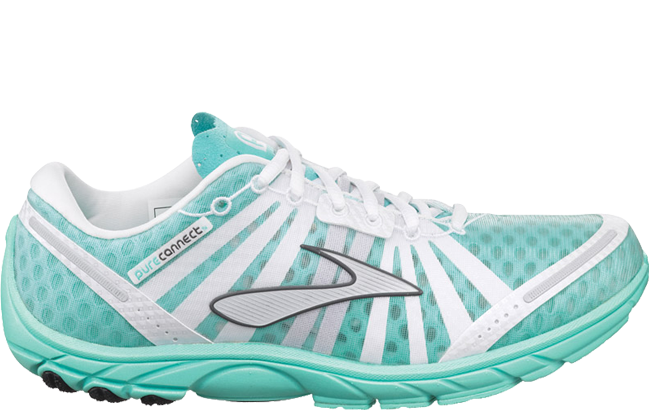 Brooks Pure Connect. Let your feet breathe and your senses soar with the PureConnect, our lightest and most flexible shoe in the line. With open mesh materials for a featherweight feel, and a split toe groove that gives your underfoot acrobat-like flexibility, this shoe puts as little as necessary between you and the ground, tuning you to the run with every stride. They are really light and they look pretty cool. There is something that I need to get used to in the arch support. It's almost like it's too long and makes my foot cramp a little bit. I will have to keep wearing them for long runs to see if it gets any better. I took a chance and ran the 1/2 in them even though I'd only run 11 miles in them once before that. 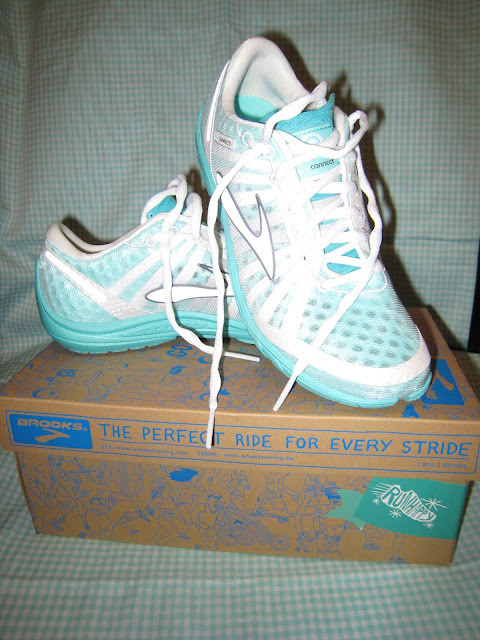 Generally you want to wear your shoes for at least a month before you wear them in a race. Final Time: 1:53:38. Not bad! And I ran with my friends, Letson and Manning. They both kept me going the whole way!